April is National Child Abuse Prevention month, and as such, The Children’s Network of San Bernardino County held their 21st “Shine a Light on Child Abuse” awards breakfast on April 4th. 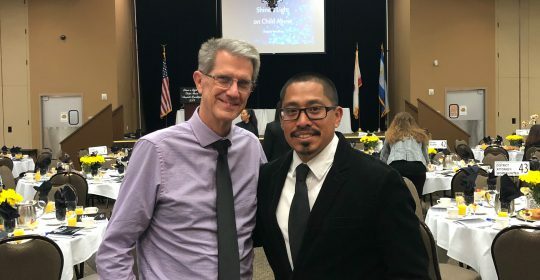 BVCHD’s very own Jeff Tunnell of the Mom & Dad project was recognized as an awardee for his work with fathers in Big Bear, as well as his work promoting the importance of fatherhood throughout the Inland Empire. Jeff has worked for The Mom & Dad Project for 5 years, and has taken The Dad Project to new levels with his creativity and passion for fathers and father figures. Thank you Jeff for all you are doing in our community and beyond!